We are extremely proud to have the industry's highest-rated, most innovative production shows ever to be presented on the high seas. Royal Caribbean Productions is seeking exceptional singers and dancers, to be a part of our outstanding entertainment program. We currently feature numerous production shows, Broadway productions, ice shows, aqua shows, aerial shows, as well as many other offerings onboard our fleet of 24 ships. In addition, we also cast for our partner cruise line, Azamara Club Cruises. We are looking for technically strong, appealing, energetic, and dynamic performers. Prior performance experience is preferred, and all applicants must provide a current picture and resume. We offer: Competitive Salaries / 7-8 month performance contracts / Paid rehearsal period / Housing / Amazing Itineraries / Family cruise privileges / Professional working environment / Contemporary musical stage productions and competitive salaries. 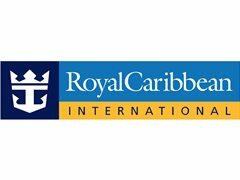 Royal Caribbean Productions is seeking exceptionally talented singers, with professional theatre and/or concert backgrounds, who have the ability to command the stage with star-like qualities. Mature, versatile vocalists who can harmonize and perform a wide variety of music genres, including Pop/Rock, R&B/Soul, Gospel, Contemporary Musical Theatre/Broadway, and Jazz. Must move extremely well. Strong acting ability and experience singing in other languages a plus. • Please prepare your best 16-32 bars (preferably pop/rock) that shows range and personality. • Have your personal repertoire book available upon request. All sheet music should be in proper key; an accompanist will be provided. • In addition, please prepare two songs from the RCP audition Repertoire. Please click on the applicable link below. • Bring your headshot and resume stapled together. • You may be called back to move/dance; bring proper dance shoes and dance clothes that show your figure/physique. FEMALES (Any Ethnicity): Must read 20s to early 40s. 5’4 or taller. Attractive, captivating, leading lady types with a strong, controlled belt/mix to F5 and legit to C6.